Two events in one with a Touring Assembly to start and a Concours D’Elegance at the finish. Similar to the St Georges Day event navigation is easy and entrants can choose one of two routes. Regulations now available click on the regulations tab. 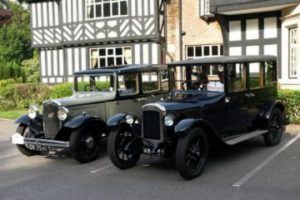 This is the 57th running of this event starting from Worsley Old Hall, calling at The Duke or Wellington for a comfort break and into the Ribble valley taking in Pendle Hill before finishing at the Italian Gardens, Stanley Park Blackpool where a Concours de Elegance will be held. There are two intertwining routes both starting from Worsley Old Hall. The shorter ‘Direct Route’ avoids steep inclines, assumes a 19mph average speed and is intended for entrants not wishing to take on the more challenging ‘Scenic’ Route’. The ‘Scenic Route’ is longer with an assumed average speed of 26mph and is described as more challenging to car and driver. Drivers may also nominate a start from the cotrol at Preston Dock reducing mileage but missing out on some fantastic roads. Entrants may order tickets for cream teas at the Italian Gardens in Stanley Park. Every year the route changes to keep the event fresh. Route is between 65 and 90 miles with instructions using both simple ‘tulip diagrams’ and written instructions. All entrants receive a Route Book giving full directions, a Route Information book giving interesting facts on places along the route and Rally Plate. All entrants taking part in the Concours receive a commemorative medal and awards are given for the various classes, based on age.